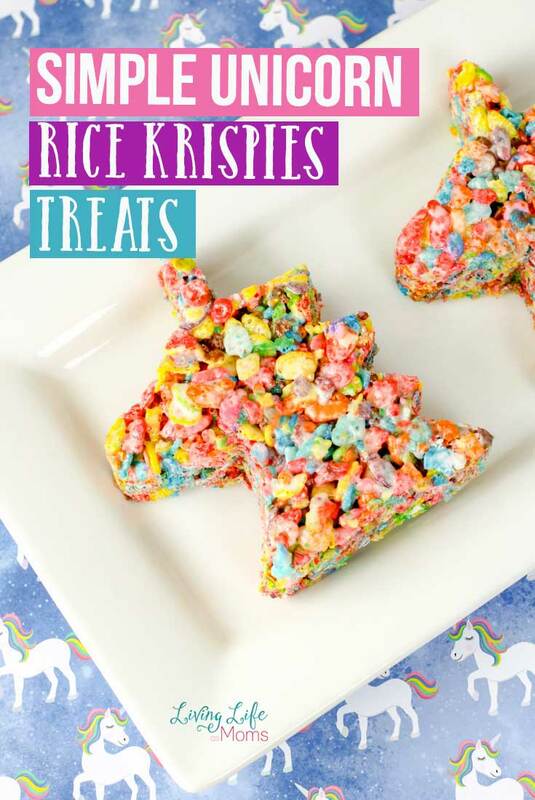 These simple unicorn rice Krispies treats are probably the cutest – and the tastiest – thing you’ll see all day! 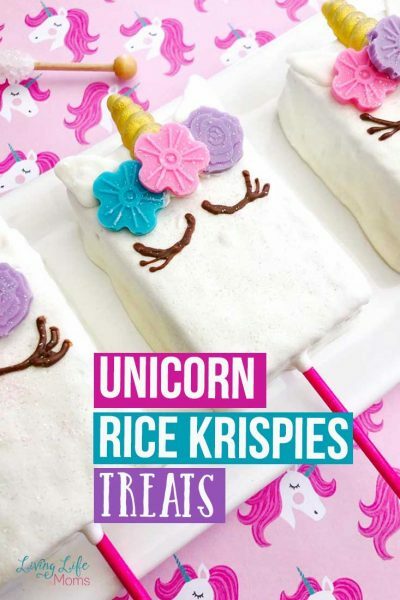 Rice Krispy treats are amazing on their own, but when you pair them up and make them be the shape of a unicorn? Unstoppable. It’ literally a winning treat that no one will be able to turn down. And why would they? Take a look at these treats! They’re adorable, they’re colorful and they look like unicorns! SOLD. 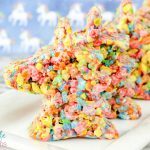 These unicorn treats are perfect for every day or they would be a great addition to a fun rainbow themed or unicorn-themed birthday party! 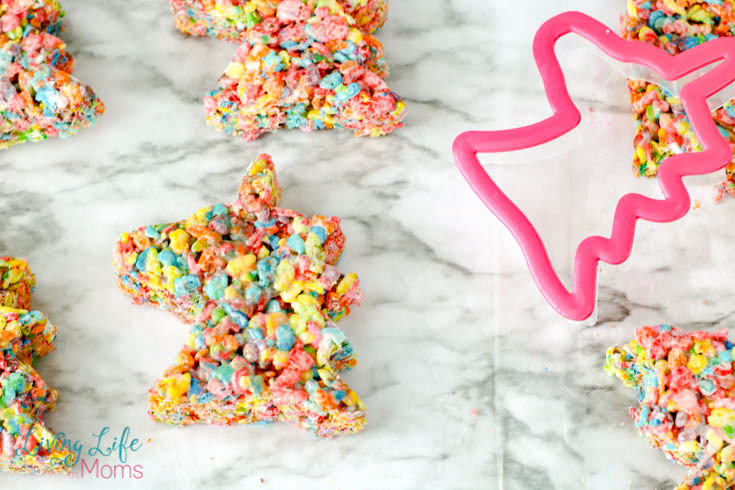 The great thing about making these Rice Krispies treats is that they are so pretty to look at, too! It’s like taking your food and then turning it into a beautiful piece of art – before gobbling it up and reaching for the next one. There are very few treats that are this pretty and taste this good. Plus, you don’t even have to break a sweat while making them. This is one recipe is that seriously simple and seriously delicious. It’s even a recipe that younger kids can help do as well! Let them help with the stirring and adding in of ingredients. The end result always tastes so much better when everyone helps! Start this simple recipe by gathering up all your ingredients to begin. The good news? There isn’t a lot that you need to have on hand! (and you might already have several of them in your pantry at home!) Getting to make a treat without having to head to the store would be pretty great, right? 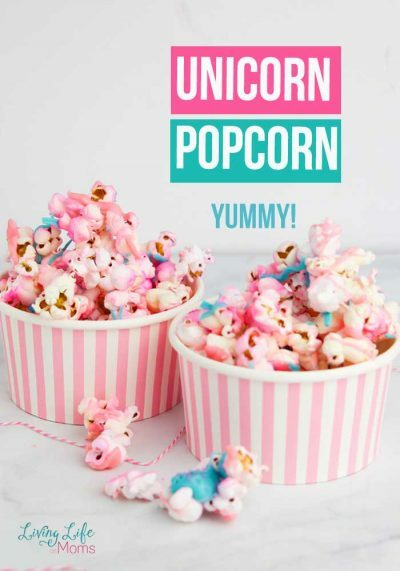 If you loved this unicorn treat, try one of these other unicorn snacks. Finding the unicorn mold is half the fun! Who knew that there were so many options out there to choose from? Find one that is a good “treat” size and keep that in mind when you’re looking. Too big of one and it’s too much to eat in one sitting, too little of one and it’s not enough! Once you cut them out, stand back and look at your creation! Have you ever viewed something so beautiful that is also edible? PS – Don’t forget that sharing is caring! Your family and friends would love to partake in some of the snacking as well! 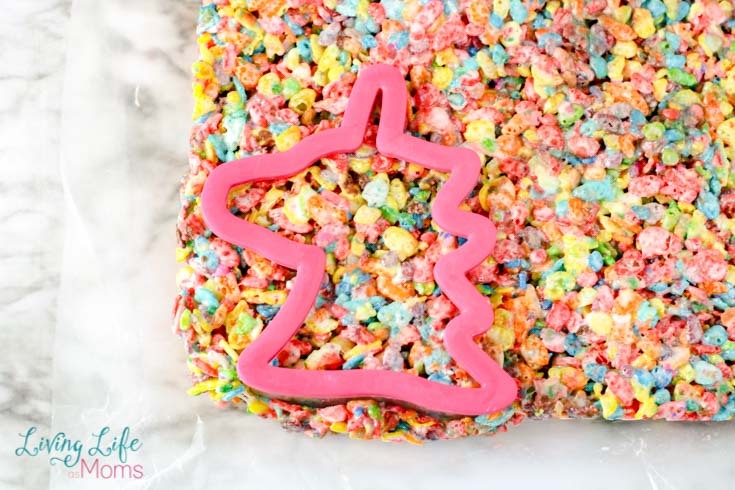 These simple unicorn rice Krispies are so simple and delicious! Grab a 13 x 9 baking sheet and line it with wax paper and a spritz of non-stick cooking spray. Start melting your butter in a saucepan over heat. You'll want a larger one because you'll be adding more to it. Once the butter is melted, add in the package of marshmallows, stirring constantly until they are fully melted. Once they are melted, remove the pan from heat. Fold in the cereal at this time. Stir until the cereal is coated entirely. Next, if you are using sprinkles, add them in. Keep in mind that they will melt but they give the treats a cool shine. The sprinkles also harden the treat a bit but they still taste the same and it doesn't affect that. Take a spatula (butter it up first) and press the cereal and marshmallow mixture down into a baking sheet. Let it cool completely. 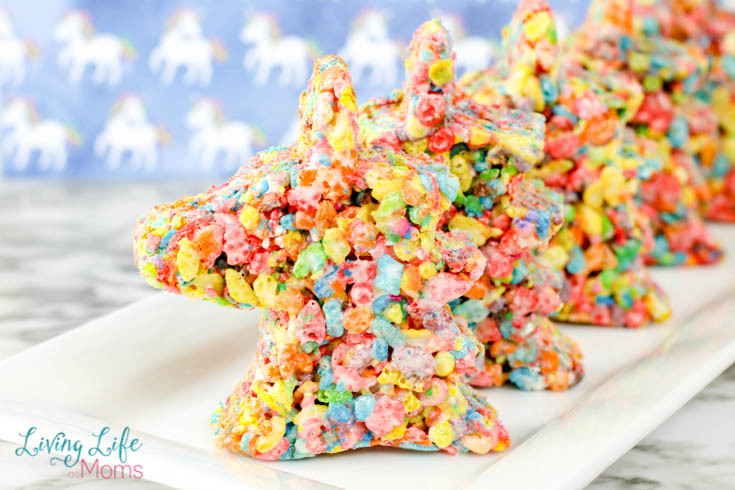 Use your cookie cutter to cut out your unicorn shape!